If one thing is certain about the 2018 FIFA World Cup: It's unpredictable. World champion Germany fell to Mexico Sunday. Brazil and Argentina both failed to collect three points. In a controversial match, Brazil played Switzerland to a 1-1- draw while underdog Iceland held its own against Lionel Messi and the rest of the Argentine squad. Today's matches will see Sweden and South Korea wrapping up opening matches for Group F. England will take on Tunisia in Group G after Belgium and Panama play. What surprises are in store today? Sweden took three points from their Group F match with South Korea Monday morning. It was a scrappy match with 43 fouls. South Korea couldn't manage to muster a single shot on target throughout the match. The frustration was surely setting in by the second half. In the 64th minute, South Korean defender Jang Hyun-soo hauled down Sweden's Claesson in the box. After the video assistant referee (VAR) reviewed, a penalty was called. Andreas Granqvist converted for Sweden for the game's only goal. Sweden are now tied with Mexico in the group standings. But they have to play Germany who is facing a must-win early on in the tournament. A scoreless first half allowed Belgium and Panama to feel each other out. But the second half was all Belgium as they tallied quickly and never let up. Two minutes into the second half, Belgium's Dries Mertens knocked home a long-distance ball after a poor clearance out of the box. The shot was a one-time volley that arced high right over the Panama goalkeeper. In the 69th minute, Manchester United's Lukaku tallied a beautiful header from the 6-yard box off a well-placed cross from Kevin De Bruyne. 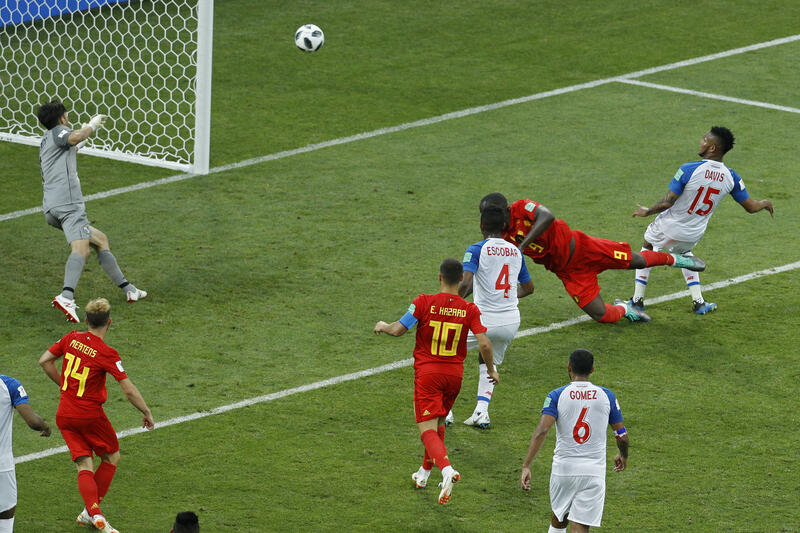 Lukaku scored a second of the day, just 6 minutes later off a perfect pass from Eden Hazard to extend Belgium's lead, 3-0. England started strong but struggled to find a final goal and earn all three points. Tunisia's defense held on most of the way. But Harry Kane tallied last-minute goal in stoppage time to earn the win for England. It is their first win in their last five World Cup matches (June 23, 2010). England looked to be off to a great start with Tottenham standout Harry Kane tallying his first of this World Cup. Kane one-timed rebound off the Tunisia goalkeeper failed to hold on to a shot from an England corner kick. But in the 33rd minute, Kyle Walker threw a wild elbow at a Tunisia attacker causing him to go down on a clear attempt on goal. Walker was given a caution and Tunisia was awarded a penalty. Despite guessing correctly, the English keeper just missed stopping it and Tunisia drew level at one apiece. English fas were in near tears as the match wound down and throughout the four minutes of added time. But the Three Lions eventually found the net of another corner put away by Harry Kane for his second of the day.